“On January 2, 2014 Green Cross Australia and our partners welcomed the new year with a Witness King Tides photo-shoot right across the eastern coast of Australia. Our focus was Tasmania where the State Government supported the initiative as part of its coastal adaptation strategy and the tides cooperated! This article from our public broadcaster the ABC framed the day. Media coverage for this first foray into 2014 was strong, reflecting summer holidays interest and topical nature of this project in Australia. You can find dozens of media articles here. 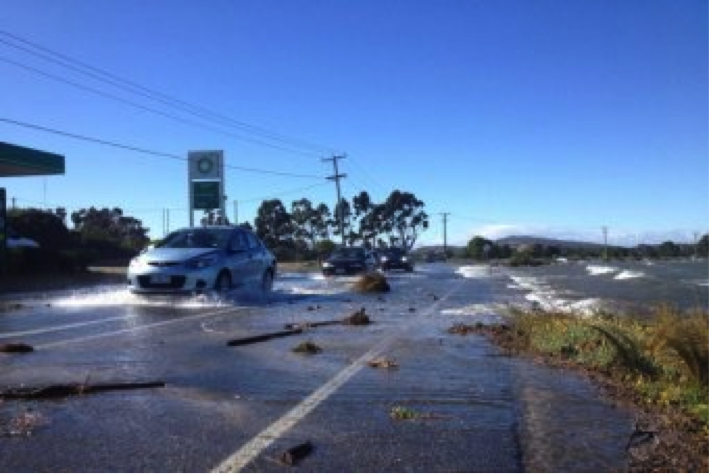 This year we are excited that the digital community in Australia is backing Witness King Tides. The project has been adopted by the “Random Hacks of Kindness” program and developers are busy working up a new iPhone app that will greatly improve spatial locating of uploaded photos on a regional map to improve the user experience of our current home page map. You can learn about what our friendly hackers are doing here. For this event we encourage participants to collect beach waste after taking pics to help build the resilience of our coastal ecosystems and marine wildlife as climate impacts grow. Our next big photo opportunity will be on March 20/21 in South Australia, with a focus on Adelaide which is particularly exposed to coastal erosion. The event will be preceded by a “Climate Adaptation Showcase” led by the South Australia government where Green Cross Australia and our partners will present the Witness King Tides project. Activities unfold against the background of challenging planning outlooks for local governments across Australia. On the one hand courts and State governments are requiring that local councils use locally tailored risk information about sea level rise for planning purposes rather than using a blanket one-size-fits-all IPCC projection. Yet on the other hand local governments are not resourced to produce tailored local risk frameworks and so they are unequipped to take a lead role without support from other levels of government, which for the most part are reducing their climate change funding. Witness King Tides has never been more relevant in Australia, because we can encourage the community to engage with this challenge locally as a first step towards navigating resilient coastal development for future decades. Green Cross Australia is eager to support this work in the Asia Pacific region and we look forward to exploring philanthropic, research and government partnerships to make this possible!